In front of me is my beloved white MacBook. To my left is my iPhone, and to my right is an iHome playing music from my iPod. Without the genius of Steve Jobs, my desk would be empty. Though my reliance on Apple products may seem extreme to some, it’s not a stretch to say that the work of Jobs has been an integral part of our technology-addicted generation. But his innovative ideas began before many teenagers were born, with computers like the early neon-colored Macintosh. Jobs revolutionized technology — after all, without him, the eternal question of “Mac or PC?” would only have one answer. He catered to those willing to pay a high price for quality products. Along with business partner Steve Wozniak, Jobs marketed his first computer in 1976. The Apple I was the first computer to be sold fully assembled, as opposed to most computers at the time. From the Apple I to the MacBook Air, Jobs had the talent of creating what people wanted before they even realized that they needed it. Later, he set his sights on beyond computers to focus on music. Every teenager remembers the day that he got his first iPod — the excitement of making an iTunes account barely surpassed the excitement of turning on a pastel-colored iPod mini. 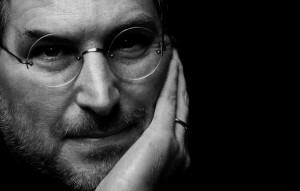 iPods revolutionized the way people listen to music, and once again, Jobs was able to change the world for millions of people. After being fired by his own company in 1985, Jobs channeled his creativity into creating NeXT, a computer company that created the framework for much of the current Mac OS X operating systems. Apple later bought NeXT, and Jobs returned. Though most people automatically associate Jobs with Apple, he also owned Pixar during his time away from Apple until its merge with Disney. At Pixar, Jobs was directly responsible for great animated works ranging from “Toy Story” to “Cars,” revolutionizing computer animation. He later referred to that period as the most creative time of his life. No matter what genius invention he came up with, Jobs virally marketed his products, generating a cult of Apple followers with his infectious energy. His simple and creative commercials, such as the classic 1984 Macintosh Super Bowl commercial and the black-and-neon original iPod commercials appealed to a wide range of ages. His development of iTunes and the iPod’s claim to hold “1,000 songs in your pocket” changed entertainment forever. It’s no longer necessary to bring a DVD player on car rides because, thanks to Jobs, your iPod can play it for you. Besides his inventions, he was also known for his classic American rise to fame. Despite the fact that he dropped out of college after just six months, he was able to lead Apple to become a multi-million dollar company in just five years. To a generation of students that spends much of their lives planning for college, Jobs lack of higher-level education seems extraordinary, especially when you consider that at 30-years-old, he received the National Medal of Technology from President Ronald Reagan. Steve Jobs, who died Oct. 5, left a lasting impact on the way we use technology to entertain ourselves and communicate with others. His revolutionary products, such as the Mac, iPod and iPhone, are some of the most popular devices used today. Photo courtesy www.marketplayground.com. Jobs had a massive influence on the world. His dedication to innovation and design will always be remembered, and we should learn from Jobs to always push the envelope and break the norm. Jobs’ inventions have revolutionized the way people thought about technology, design and how we communicate with each other. We now have more than just 1,000 songs in our pockets — we also carry around movies, games and the Internet, all in one device. Thank you, Mr. Jobs — I hope you’re happy in the iClouds. The first paragraph of this article is hilarious. Just because I’m not a mac man doesn’t mean I don’t respect what he’s accomplished and the extraordinary mental fortitude required to do it. 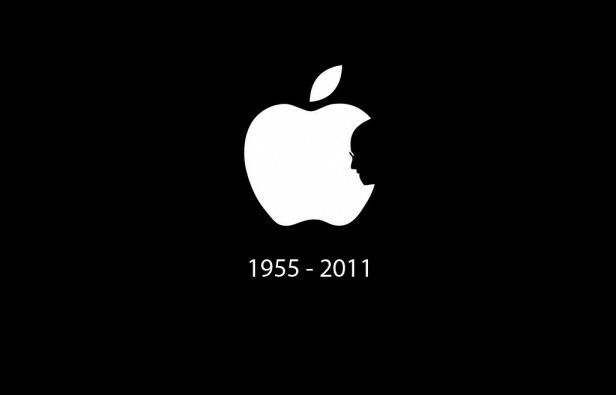 RIP, Steve Jobs. What a shame! i miss him so much. Let’s not forgot that MCPS used to be all Apple. Then, when we were in elementary school, MCPS threw away all the Apple computers and replaced them with cheaper (financially) and cheaper (shoddy quality) software/hardware. We’ve suffered every since. I remember those amazing Bondi blue iMac G3s. Great job MCPS for the Windows computers. The only unfortuante thing is that people seem to forget the bad things Steve Jobs did in his quest for perfection: yelling at employees, fireing those that didn’t agree with him, and making people go back to the drawing board on product design when he didn’t like the way something looked. Yelling at or firing employees are not negatives. And surely you can’t seriously think that a top notch CEO would accept flawed designs. Steve Jobs was respected by most of those whom he worked with. And under his “bad” style, Apple became the most successful multimedia device company that the world has ever seen. And why do you seem to think that people “forget” his “bad”traits. Isaacson’s biography focuses on these issues in great detail. I would encourage you to watch his interview on 60 Minutes. The goal of a CEO (a successful one) is not to be the most liked, but rather to make a profit while, in Jobs’s case, putting out quality products. All this and no love for (or even mention of) Dennis Ritchie? Yeah, all he did was create the C programming language, and then use that to create UNIX, an operating system that is used practically everywhere and helped to shape the modern computer world – including the iOS and the operating systems in Apple computers. Oh, yeah, and basically everything on the Internet is powered by either C or its derivatives or by UNIX. Steve Jobs would have been nothing without Dennis Ritchie and countless other programmers and innovators.